Since I have renewed my love of thrifting, I wanted to have an avenue to pass on some of my favorite finds. A great thing about thifting is that I find a lot of amazing peices of clothing, homewares, and unique items, but the downside is that I can't keep them all. 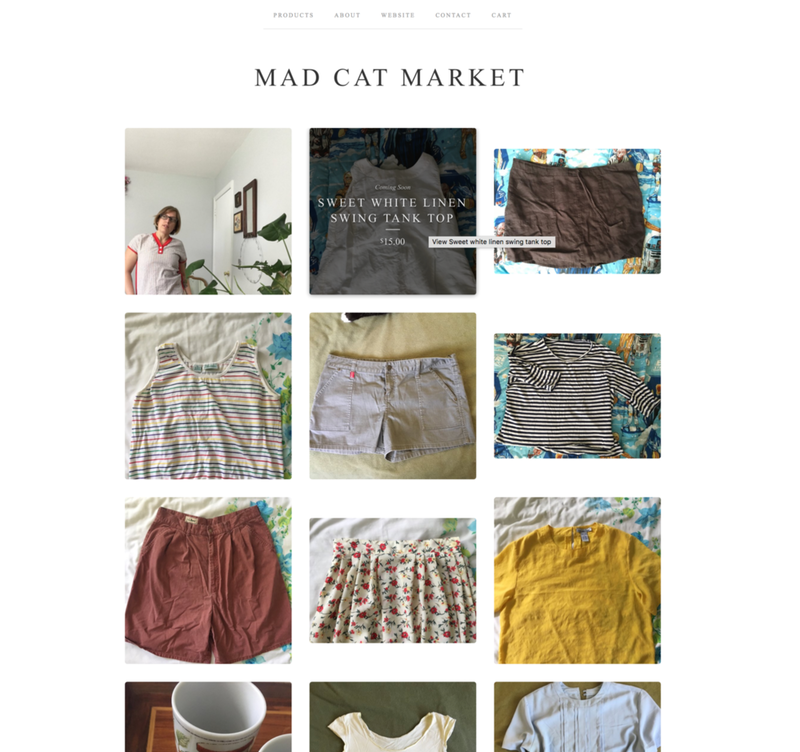 So, welcome to the official launch of Mad Cat Market, an online shop to share my thrifting finds with everyone! One of my goals is to pass along these saved treasures at a reasonable rate. I want these items to be loved as much as I might love them if I could keep them all. I'm using an existing Big Cartel shop and keeping it at the lowest plan, which dictates that my collections are kept pretty small but means I can pass the savings on to the buyers! Each is hand picked and curated and I hope that the shoppers like them! I also invite everyone to visit the Mad Cat Market instagram. I plan on posting sneak peaks, sales, and inspiration there! The current collection is a mix of Summer and Fall transition pieces in a range of sizes and styles. I'd love to hear what people like or want to see or see more of! I'd love this space to also become a place where people can let me know what items them might be seeking and a conversation about thrifting and sustainable shopping. This is a new experience for me, so I'm thankful for people bearing with me while I work out the kinks and the mission of this shop! Thanks for checking out the new shop! !